“Isabel’s life seemed perfect. Successful business, beautiful house, adoring husband. And then she was dead. I decided to request an advance reader’s copy of this book after finishing The Retreat by Mark Edwards which I found exciting and wanted to analyse his writing in greater depth. He has the ability to combine intense and dramatic moments with hints of paranormal activity in a unique and gripping way and I admire his bravery to incorporate this method in his books as a way of peaking the reader’s interest. Unfortunately, I felt that the plot lost focus for me due to the emphasis on the supernatural elements which I think were too excessive here, especially when Jessica’s daughter, Olivia, claimed to know the details surrounding Isabel’s death without ever having met her. I was impressed with the way Jessica was portrayed as a multilayered character with secrets and regrets but simultaneously I would have liked to explore the other minor characters such as Darpak further. The other drawback from my perspective was the intense change in pace halfway through the book. It starts off at a relatively slow pace and quickly picks up after one of the many secrets is revealed. I realise that this was perhaps done intentionally to draw the reader’s attention back to the main suspects while discarding several others but I also felt that it disrupted the natural flow. Further on this note, I found the ending exhilarating and was kept on the edge of my seat until the last few chapters which I believe was partly due to the fast pace and plot twists disclosed at the very end. Exposing the murderer was a complete surprise and I appreciated the flashbacks leading up to this point to reveal Isabel’s killer as a different and fresh writing technique. Overall, I found this book more difficult to follow and dig into in comparison with The Retreat but liked the fast-paced unexpected ending. If there had been a deeper focus on the characters and less of an emphasis on the paranormal elements from Olivia’s perspective I would probably have enjoyed this book more. 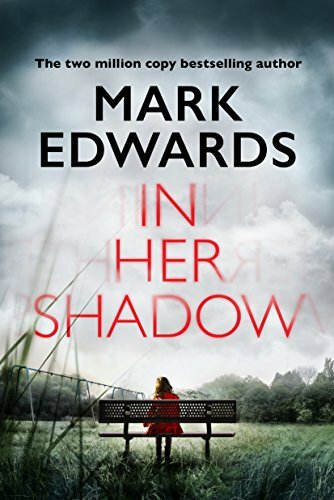 In Her Shadow is available to all this Thursday 4th October! Many thanks to the publisher for providing a free advanced reader’s copy in exchange for my honest review. Something we all look for, perhaps even subconsciously, upon starting the next book in a series is the continuity in the story line. Many authors decide to disregard this aspect, especially those in a detective series where the crime scene changes each time. Nevertheless, continuity is a key technique used to remind the reader how the last book ended and flow into the story line of the new book. If a series doesn’t have any degree of continuity the plot may seem uneven and rushed. Most series include the same characters with perhaps a few new characters introduced in each new book. If there is no character development the plot appears stagnant and the reader may lose interest. However, that is not to say that characters must always be likable; in fact the most disliked characters are often unpopular because of the events leading up to a plot twist or milestone which indicates character progression. As characters grow and their traits are gradually revealed, the story line also matures and progresses to create a rich and engaging plot and advance the story line to the next book. Pace has a crucial impact on how readers perceive a book and if they decide to read the complete series. In particular, pacing is often difficult to master depending on the genre. Adventure or fantasy series such as The Hunger Games usually have significant changes in the pacing throughout each book to encourage an element of surprise. In contract, the pace in a mystery or crime series often doesn’t change much until the very end where a plot twist is revealed to evoke tension and suspense. It is also important that the pace doesn’t change drastically between each book in a series to ensure that it doesn’t break up the continuity, although this arguably also depends on genre and I realise may affect certain genres more than others. Also linked to continuity, I believe that the ending of each book should reflect the writing and story line so far. It may not be justified to end a book in a series on a cliff hanger if there have been few hints of plot twists or surprises. On the other hand, an expected or neutral ending may not be as memorable and the reader may not be as willing to continue the series. However, depending on expectations, genre and other factors, a certain kind of ending may create a greater impact and interest the reader more. • Does it measure up to the previous book in the series? I think this is perhaps the most important point and something we all reflect on. Very often the first book in a series is considered the “best” for a variety of reasons. We may decide to skip the next books because they don’t measure up to the first one or even the previous one. This point consists of all the previous ones – continuity, pace and character development. If one aspect falters it could have a huge influence on our perception and therefore may not be as willing to set time apart to read the whole series. What traits do you think contribute to a successful series? Do you compare books in a series to each other and does this have an impact on the series as a whole? If you have read this far then thank you for taking the time to consider this week’s reflections. I realise that this discussion post is more subjective and is not as balanced as it may be but I decided to post it anyway and open up this discussion to the community. “Isaac Childs has the perfect life—until that life comes crashing down when his wife Ramie vanishes. This book offers something to every reader. It is an excellent choice for those who appreciate flawed characters and perfect for anyone interested in an engrossing mystery. It becomes apparent as the story line progresses that the characters are vital to moving the plot along and simultaneously, as the plot develops, we discover secrets and imperfections of each character that transpire into an appealing and exciting story. I really admired the powerful use of both these writing techniques and I feel the author accomplished this exceptionally well. Although all characters were multilayered and engaging, I could not find myself interested enough to follow their conversations. Perhaps it is based on my personal preference on dialogue, but their discussions felt strained and very matter-of-fact which attributed to several forced interactions. Nevertheless, the descriptions in between and after the direct speech were eloquent and concise. I would have preferred a more prominent emphasis on this as the period between Ramie vanishing and Isaac meeting Julia felt somewhat rushed. However, I also realise that this was intended to describe their accidental meeting and therefore the focus soon shifted to their life afterwards. Few thrillers manage to incorporate emotion and grief in the story line and those that do often fall short of inducing empathy in the reader. In contrast, An American Family shines in this field and from the first page we are introduced to a mix of emotions from despair to heartbreak. I was pleasantly surprised by the ending, although it seemed somewhat implausible, and can safely say that this book left me with a sense of relief which was comforting after the rollercoaster of a ride we travelled on. 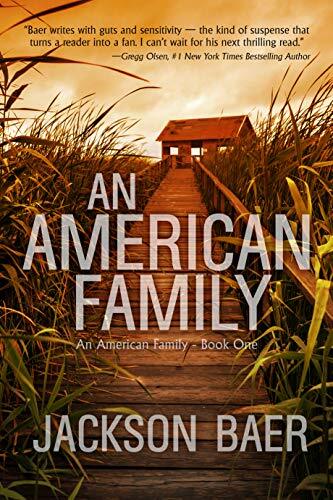 An American Family is out next Monday 1st October! Many thanks to the author for providing a free advanced reader’s copy in exchange for my honest review. I decided to read this book after finishing Anna by Amanda Prowse which I really enjoyed. Needless to say, it didn’t disappoint. She chose a very complex subject matter and explored it through Rachel and James’ relationship after their son Oscar disappears at sea. Grief is a particularly difficult topic to discuss which I believe she handled well with a lot of carefully chosen words and phrases. Most notable of all were the different stages of loss that Rachel struggled through which I felt were especially well documented through the first person narrative. Character development plays an important part in books written in this style and I must say that we saw all characters grow through expressing their thoughts and reflecting on the past. Cee-Cee was a very pleasant character, often driving the plot forwards and supporting Rachel with the healing process. Her empathy and kindness is so comforting and she quickly became my favourite character. 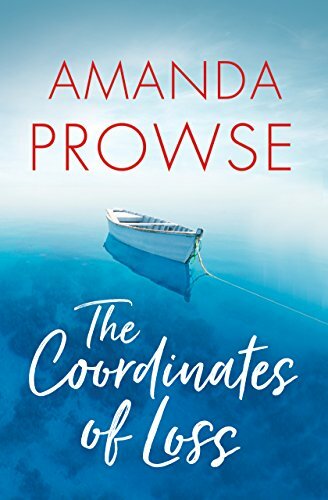 The Coordinates of Loss is an emotional and poignant book, perfect for readers who are after a true to life story and are keen on exploring family dynamics. However, it should also be noted that this book lacks a fast-paced plot and does not provide any relief until the very end, which is something I believe many readers may also be looking for. If you are from the UK, you probably know how awkward it can be locking eyes with the person sitting opposite you. This doesn’t tend to happen in Spain but even so, I much prefer reading my book, especially on my commute to work or when I know a long journey is ahead. I guess this is linked to public transport although the journey tends to be longer meaning more time for reading. I sometimes get through a whole book when flying and I love the feeling of completely ignoring anything and everything else on the plane and getting lost in the story. The park is probably my favourite place to read, especially on a sunny day with a slight breeze. Unfortunately we don’t get many days like this here in Madrid but when the odd day suggests the perfect weather I love to pick up my kindle and head to the park. On gloomy days I find nothing more appealing than walking to a café, making myself comfortable at a table by the window and starting a new book. Sometimes hours pass by and I finish one book and start another without even thinking about leaving. My usual reading place is my bed or sofa, both of which are comfortable enough to get lost in a book, sometimes a bit too much when the plot is engrossing enough to keep me awake into the small hours of the night. Then I find myself tired at work the following day but I don’t mind too much because this is usually how I discover my favourite authors and books. What is your favourite place to read and why? Have an amazing weekend and thanks for reading! I feel hesitant posting this review after reading other readers’ thoughts on this book and I think I might be one of the only ones to give it an average rating. This is a quick and engrossing read, similar to other domestic thrillers with confident and headstrong female leads. 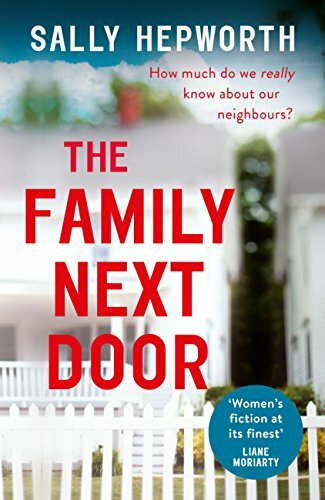 The story line follows three neighbours from Pleasant Court, a suburb in Australia, who each hide their own secrets, unaware that a huge discovery is about to be made by their new neighbour Isabelle. The pace is steady and secrets are revealed with purpose and in the right doses throughout the book. Despite my initial concerns, the subject matter related to each secret is heavy but unpredictable and very well analysed by the author who delves into each character, narrating their story with close attention to detail. My main issue with this book is the interaction between the neighbours which I found to be very superficial and gossipy. Some of the themes discussed were dark but this was usually portrayed in the narrative where characters’ thoughts were revealed, unlike the conversations at the suburb which often felt superfluous and repetitive. I understand that perhaps this is also telling of the different ways we hide information from our peers compared to our thoughts when we are alone, but the dialogue left me feeling disappointed and sometimes even irritated. I could not relate to Isabelle or any of the other women and was not impressed by how uninteresting their husbands were portrayed either. Overall, this book fell a little flat for me and made me question some of the characters’ decisions which I don’t believe was always intended. However, the pace was good enough to draw me into the world of Pleasant Court where relationships are tested and important topics such as parenthood, marriage and mental illness are discussed. It is a quick and entertaining read and perfect for anyone looking for a domestic thriller narrated from a woman’s perspective. Welcome to another bookish Saturday post! Now that I’ve had the opportunity to explore the book blogging world a little more and have published several book reviews, I thought it would be the perfect time to expand my horizons and what better way to do so than try writing discussion posts? After last week’s Three Bookish Things book tag which I greatly enjoyed, I decided that I would start a theme here at Facing the Story called “Studious Saturdays” which would include a tag, discussion or list posted every Saturday with a new topic. Today I plan on discussing how I choose my next book in my constantly growing TBR list. This is by far my favourite method. If a friend or family member recommends a book they read and loved and the description sounds like something I would enjoy, it goes directly to the top of my TBR pile and I usually start reading it immediately after finishing my current book. I am lucky to share the same reading preferences with my family and most of my friends so we are often lending books and discussing our thoughts afterwards. This used to be more popular a few years ago when I was a student and books wasn’t yet a commonly discussed topic between my friends so I resorted to Amazon and Goodreads top rated books in genres I liked in order to choose my next book. Needless to say, it didn’t always work for me and on several occasions I was disappointed with my choices. This made me realise that just because one reader may enjoy a book within a genre we both love, it doesn’t necessarily mean that the topics discussed in that book would appeal to me as well. Character development and pace is extremely important to me and I was often frustrated with the lack of these writing techniques in books I chose to read because of others people’s ratings. I am not so easily influenced by ratings any more and instead rely on other means when picking up my next book, though ratings are still a factor I consider on occasions. A much more recent discovery, your opinions are something I really value. Ever since I started this blog, I’ve been so engrossed in reading your reviews, tags and discussion topics that I have since then realised how quickly this became one of the main aspects when choosing my next book. I’ve discovered new authors and special books and, unlike ratings and reviews on Amazon, I find I can relate to other bloggers’ opinions much more. This usually depends on my mood or other circumstances, such as not having any books around me which happens now and again. I don’t usually stray from my TBR list because it’s so long that it would take me years to get through and deciding to read another book not previously present in the list is nonsensical for me. However, if a book I’ve not heard of before is discounted or suddenly appears on Kindle Unlimited I sometimes decide to buy it, though I may not read it straight away. In the latter category fall books that I have to pick up, often because my kindle is out of battery or not with me at that moment. I am lucky that my parents’ and grandparents’ house is full of books in different languages so when I’m visiting I sometimes pick a book at random and I’m usually not disappointed with my choice. How do you choose what book to read next? Thank you for taking the time to read this Saturday’s musings and have a lovely weekend!